Wow wow wow! We've come to expect that the Beers and Ideas event nights are fun and inspiring but tonight was something extra special. 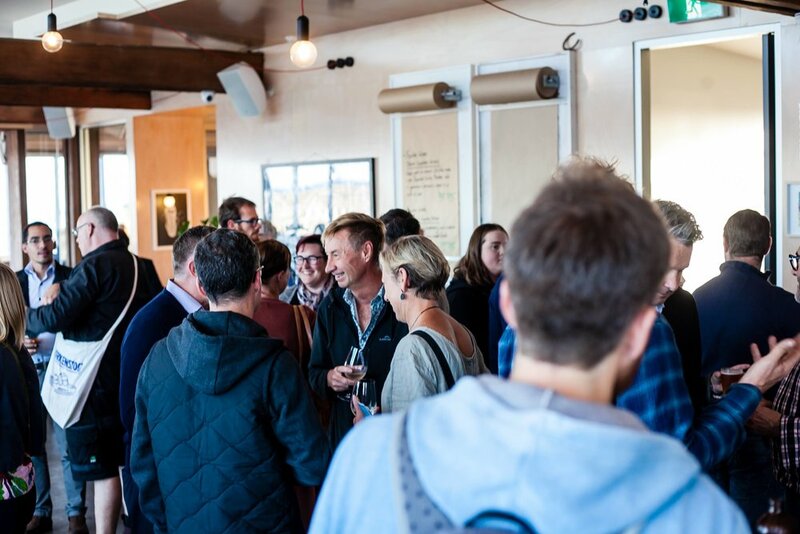 At Beers and Ideas Round 6 on this Wednesday the 4th of April 2019, we saw yet another diverse and supportive audience come along to our breathtaking venue, The Pavilion, to listen to 3 wonderful placemaking ideas from 4 truly passionate presenters. Brendan Donahoo was first up, and made an inspiring and emotional presentation of his idea for Cycling Without Age, an idea he has been working on for some time with his students and staff at Emmanuel College, Lyndoch and others organisations. The idea is to give mobility, connection to community and nature and a sense of adventure to members of the community who might otherwise be isolated. And this happens through cycling. Specialty bikes would be purchased and members of the community would volunteer to take passengers for a ride. The project is a big one, with each highly specialised bike costing around $15,000, but the Beers and Ideas funding would be a great help to put towards safety and visibility equipment and signage. It was clear that this project is an idea close to Brendan's heart and he was able to help the audience feel this too. Jack Laloe was our second presenter, and gave a fun and informative presentation of his idea for a Frisbee Golf course at Albert Park. The course would be a series of all-weather nets that are securely installed into the ground, and the aim of the game is to get the frisbee into the net! Much like golf, courses can be as long as 18 holes, but Jack thought starting small, with 3 nets would be a good way to gauge interest and not be too obtrusive to other park users. The game is played worldwide and there is already a gang of local Ultimate Frisbee Players, so it would no doubt be well-used. Jack gave us a demonstration on how to throw the special Frisbee Golf frisbees after a very sweet audience member enquired. And finally, Jodie Fleming and Matt Reeves presented their idea for Human Library 3280. 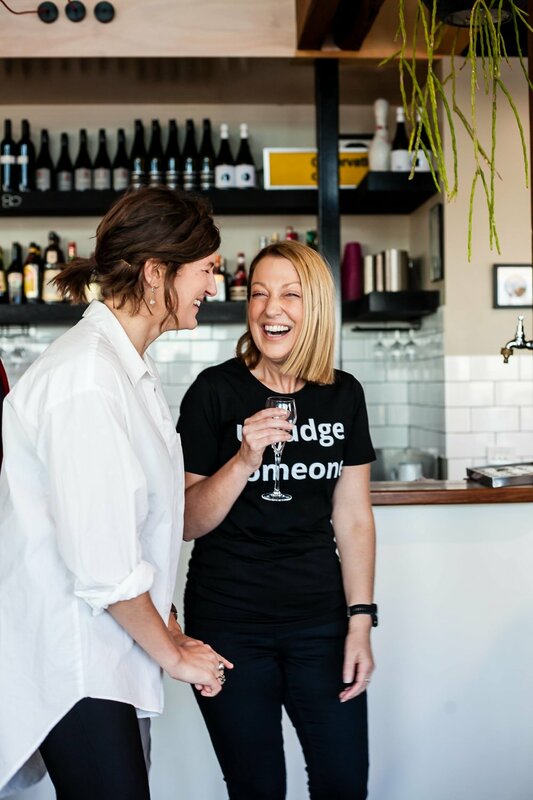 Jodie and Matt have been developing and refining this idea for 18 months and it showed – they are truly passionate about bringing this wonderful idea to the community. A human library works just like regular library, but instead of borrowing a book to read, you borrow some time from a human you'd like to have a conversation with. Their aim is to bring a diverse group of 'books' together – people who have overcome adversity, people who have travelled the world, people who have gone through unique life experiences, for example, who feel comfortable to share their stories and experiences with curious 'borrowers'. The Human Library will take place at the Warrnambool Library on October 6th – to coincide with the beginning of Mental Health Week. Jodie and Matt believe this project will help to increase tolerance and inclusivity within the community while reducing stereotypes, discrimination and prejudices. As you can tell, it was not an easy vote for the audience, and everyone took their time deciding which box to place their token in. We then counted the votes, and recounted, and recounted again. In the closet vote we've ever had, there was a tie. The team debated backstage about whether to take a re-vote between the two idea, or to split the funding, and in the end we decided to that this time, splitting it down the middle would be the best result. Cycling Without Age and Human Library 3280 will each receive $632 to put towards their ideas. We know it's won't go too far but it has come from a really special place. The audience were moved and engaged and entertained by all of the presenters tonight and we could feel the support and love in the room, as always. Thank you so much to John, Mary-Ellen and the staff at the Pavilion for hosting us and for donating their time, money and staff for the event. Thank you to Warrnambool City Council for their matched funding and ongoing support. Thank you to the Beers and Ideas team for making the night run perfectly. Special thank you to Beers and Ideas team member Peta Jolley for not only co-hosting but for capturing the night beautifully on camera. Thank you to Brendan, Jack, Jodie and Matt for sharing their ideas with us. Thank you to everyone who came along to support the presenters and the event. And thank you to this community for continuing to be so supportive of Beers and Ideas.